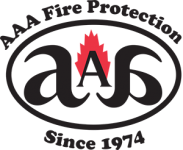 AAA Fire Protection Services provides quality fire suppression and fire extinguisher services to businesses in Richmond and throughout the East Bay and the North the Bay Areas. We are a family-owned business who have been serving the San Francisco Bay Area for the last four decades. We offer comprehensive fire extinguisher services that meet California Code of Regulations (CCR) Title 8, Section 6151 specifications. As such, we offer annual fire extinguisher services in conjunction with fire extinguisher sales. With over 40 years experience working with California fire code we are something of an expert. We work with businesses of all sizes to rectify compliance issues and to satisfy citation requirements. If your business has been cited by one of the many governmental agencies such as OSHA, then give us a call at (800) 543-5556. Our team of experts provides comprehensive services at affordable rates and we do so for businesses just like yours. We can help you gain compliance and then maintain compliance through annual fire extinguisher services which tests, recharge, and hydrostatic tests, fire extinguishers, as demanded by the California fire code.